Budapest Hungary Travel. Budapest Flights, Maps, Tours and Hotels. Looking for Budapest Travel Advice? You have come to the right place! Budapest Discovery Guide welcomes you to one of the most beautiful cities in Europe. The first time I visited Budapest, I was a tourist myself, but many years of living in this charming city now allow me to experience it as an insider and also from a tourist’s point of view. I would like to show you around, and to help you find the best deals, as well as the city’s hidden treasures and attractions. Let me talk to you about everything related to travel around, when to come, good restaurants, best hotels, what to do, flights, Budapest tours, maps, useful tips and all sorts of things you won’t read about in tourist books – because these are the things that only insiders know. This guide contains everything you need to plan your trip and to make the most of your visit in the lovely capital of Hungary. All suggestions are made based on personal experiences and on recommendations of others who live in and love this wonderful city. When planning a trip, it is always great to get practical tips and advice from a friend, in order to avoid wasting time. This has been my intention while building this site and I hope you will find it helpful. Where to Stay in Budapest – Find the best accommodations for every budget, from Luxury Hotels to Guest Houses and Hostels. Discover the cheapest rates for 4 star Hotels in Budapest, B&B or apartments. Read reviews on Budapest Hotels written by others who have stayed at these hotels. How to get here – Details on how to reach the Hungarian capital from different parts of the world. Information on finding Cheap Flights, together with tips on airport transfer services, rail and coach holidays to Hungary. Sightseeing – Advice on tours, walking tours around the city, bicycle trips, maps, guided tours and tips on how to make your own tour. Things to Do – Besides visiting the top attractions, visitors can enjoy a great variety of activities. Go for a cruise on the Danube, relax at one of the city thermal baths, enjoy the real Budapest shopping experience and so much more. Practical Info – Keep in mind relevant information about Hungarian currency, weather in Hungary, time zones, phone calls, discount cards, banks, Hungarian language, the internet and useful facts in general. I invite you to explore our city guide and to discover everything that this charming city has to offer its visitors. If there is anything else you need to know and did not find it here, please feel free to ask me – your friend in Budapest. Thank you for visiting our Discovery Guide and once again, “Welcome to our city.” I am sure you will have a great time. Things to Do in Budapest in May. Insider Top Picks. Things to do in Budapest in May 2015. Budapest Events guide includes interesting and fun things to do in Budapest in May. Festivals, fairs, concerts and exhibitions picked by an insider. Things to Do in Budapest in June. Insider Top Picks. Things to do in Budapest in June 2015.Budapest Events guide includes interesting and fun things to do in Budapest in June. Festivals, fairs, concerts and exhibitions picked by an insider. Budapest Tourism Questions Budapest Tourism Questions. Find complete answers to common questions on travelling in Budapest, what to do in Budapest and what to see in the Capital of Hungary. Budapest Videos Budapest videos shows you the Hungarian capital at a glance. Give yourself an idea of what you can expect and discover in this beautiful city. 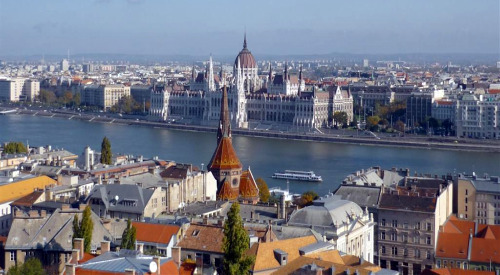 Flights to Budapest Hungary Find cheap flights to Budapest Hungary and compare airfares from all the low budget airlines flying to Budapest, Hungary. Search traditional and low cost airlines that fly to Budapest. Travel to Budapest. 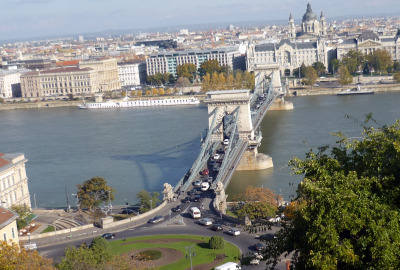 Budapest Travel Information on flights, trains, and buses Wondering how to travel to Budapest? Essential information on flights to Budapest, Budapest Airport and transfers.Tips on how to get here by train, car, bus or boat. Bus 200E schedule PDF. Budapest Weather – Budapest when to come Budapest weather lets everyone delights in something unique and especial every season of the year.Tips on when is the best time to come, what to expect and what to bring. Budapest City Blog The Budapest City Blog lets you know whenever any new webpages appear on Budapest-Discovery-Guide.com, it keeps you up to date with other postings or news about Budapest. Budapest Travel Stories and Tips Budapest travel stories and tips from travellers who have already been here. Share your Budapest adventures and travel advice. Medical Tourism in Budapest Quick guide to medical tourism in Budapest Hungary. Information, tips and advice on affordable dental holidays, plastic surgery and cosmetic treatments during your visit to Budapest Hungary. Hotels in Budapest, Best Budapest Hotels Hotels in Budapest: A complete review written by locals about Best hotels in Budapest, Budapest Budget hotels,as well as hostels and apartments in Budapest. Advice on how to choose a place to stay . Luxury Hotels in Budapest. 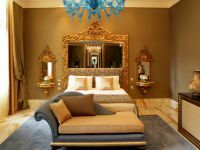 Practical reviews Luxury hotels in Budapest offers you a selection of the best 5 star hotels in Budapest based on recent visitors reviews. Insider advice, practicall reviews, location, ratings and prices. 4 Star Hotel Budapest – Best Four Star Hotels in Budapest, Hungary 4 star Hotel Budapest: a useful guide to best 4 star hotels in Budapest. Detailed reviews based on friends and personal experience in some of the best 4 star budapest hotels. Bed and Breakfast Budapest- A great choice to stay in Budapest Our bed and breakfast Budapest page lists a selection and reviews of the best hotels in Budapest in this category. Budapest Public Transport Travelling by Budapest public transport is an easy way to get to know the city. Find the best Budapest travel tips to get familiar with the city metro lines, trams, buses, trolleys as well as taxis. Budapest Attractions Budapest Attractions, a guide to Budapest’s best sights. Gellert Hill, Buda Castle, Budapest Baths, Budapest Opera House. Tips from an insider with lots of Budapest Pictures. 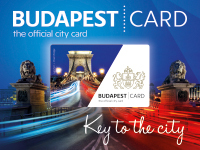 Budapest City Tours Budapest City Tours brings you the best selection of Budapest tours. Some of the best ways to see the city: Budapest walking tours, sightseeing bike tours, day and night city tours. Budapest Walking Tours Budapest walking tours are the best way to get around the city and to access many of the Budapest sights and attractions. Budapest is a relatively small city and it is easy to go around on foot. Sightseeing Budapest. Budapest City tour with Locals Sightseeing budapest brings you the best way you can experience Budapest. Tour the city with a local friend, a fun, experienced and a local guide who will introduce you into the local culture. Things To Do in Budapest There are plenty of things to do in Budapest, free walking tours, festivals, events and opera. Find insider tips on Budapest nightlife, places where locals go shopping, thermal spas, Hungarian cuisine. Budapest Museums. The best of Budapest Museums. I recommend visiting some of Budapest museums. It can be a wonderful insight on the city, its culture, history and people. Depending on your own interests, there can be a museum for you to explore. Shopping in Budapest. Tips on Budapest Shopping Shopping in Budapest is a truly unique experience. Budapest Shopping ideas, where to buy, shopping malls, flea markets, bookstores. What to buy, souvenirs, antiques, designer clothing, arts or crafts. Budapest Baths – Turkish Baths in Budapest Budapest baths and the Turkish baths are one of the highlights of the city. I highly recommend that you experience the real Budapest Baths experience and visit at least one of them. Budapest Nightlife and Entertainment. Nightclubs, Bars, Restaurants and Opera Budapest nightlife is everything you ever dreamed of and more – bars, nightclubs, restaurants, the opera and a host of lively festivals that run throughout the year. Reccomendations and advice. Interesting Facts about Hungary Interesting and Basic Facts about Hungary. 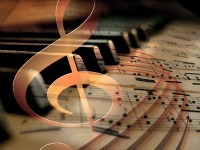 What makes Hungary so special, Hungarian Culture, Hungarian Cuisine, Hungarian Music, Hungarian Language. Where is Hungary? Hungarian Curency and Climate. Hungarian Culture – Hungarian People The Hungarian people and the Hungarian culture is a fascinating topic and learning something about their traditions and even what makes them tick – will enhance your travel. Hungarian People: Customs, traditions and beliefs Interesting facts about Hungarian people, who they are, where they come from, what their traditions and beliefs are . Hungarian Money. Notes and Coins All you need to know about Hungarian money. History of Hungarian money, Notes and coins description as well as information on currency exchange and tipping in Budapest. Hungarian Food Goulash and paprika are the first things that come to mind when we think about Hungarian food but certainly there is much more than that.Info on Ingredients, characteristics and traditional dishes. Hungarian Goulash Recipe . Ingredients, facts, Origins and Cooking Tips The authentic Hungarian Goulash recipe written by a local. Interesting facts and cooking tricks. How to cook the goulash soup, its ingredients, origins and several variations of it. Contact Budapest Discovery Guide Have you got a question, suggestion, tip or want to share your experience in Budapest? We would love to hear from you. Contact Budapest Discovery Guide through our contact form. Budapest Travel Questions and Answers Budapest TravelQuestions – Budapest Discovery Guide answers your individual questions. Buda or Pest? What are the must-see attractions? See Budapest the way locals do. Guia Budapest – Guía Turística de Budapest Hungría Guia Budapest te ofrece toda la información que necesitas para aprovechar al máximo tus vacaciones en Budapest. Recomendaciones sobre hoteles en Budapest, vuelos a Budapest, Qué hacer en Budapest. Chicken Paprika Recipe. Authentic Hungarian Recipe. The authentic chicken paprika recipe written by a local. Ingredients, facts and cooking tips. How to cook chicken paprika and galuska, the traditional garnish for this delicious Hungarian dish. Gellert Hill and Surroundings Gellert Hill offers some of the greatest views of Budapest. Find nformation on how to get there. Citadella, the Liberation Monument , Cave Church, and Gellért Baths are located on this hill. The Vizivaros Budapest Viziváros Budapest. The barroque style area of Budapest located between the Castle Hill and western side of the Danube. Main sights: Batthyány Square, St Anna’s Church, Lukács Bath andTomb of Gül Baba.